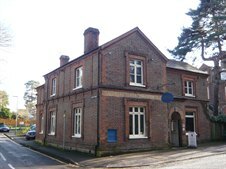 Cattaneo Commercial has just been appointed to sell The Old Post House, an attractive Victorian office building on the junction of Heath Road and Elgin Road, close to Weybridge mainline station. The building comprises 2,245 sq ft and benefits from on site parking for up to 7 cars. For more information contact Andrew Armiger on 020 8546 2166.